Preheat oven to 375 degrees. Remove most of apples’ cores with an apple corer, leaving a little fruit intact at the bottom of each to hold the filling. In a small bowl, combine the sugar, cinnamon, pecans and dried fruit. 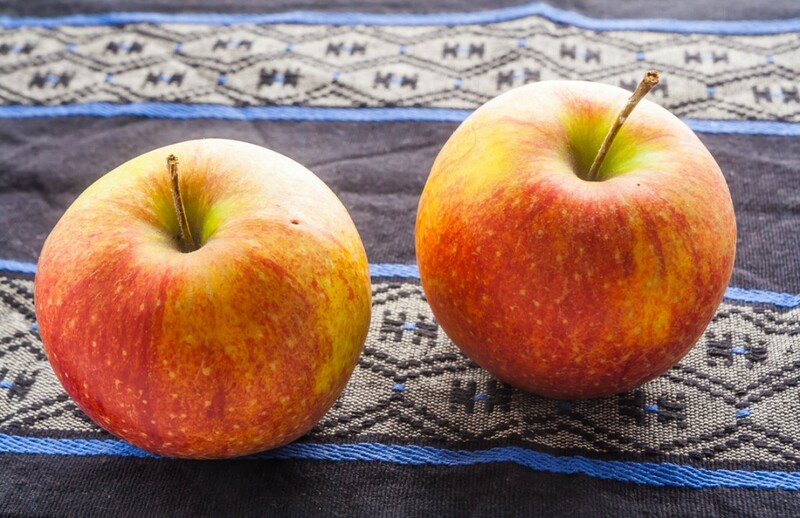 Place apples in an 8-by-8-inch square baking pan. Stuff each apple with the mixture. Top each apple with half of the butter and add the apple juice to the pan. Bake 30-40 minutes until apples are tender, but not mushy. Remove from the oven. Spoon the accumulated pan juices over the apples and serve.